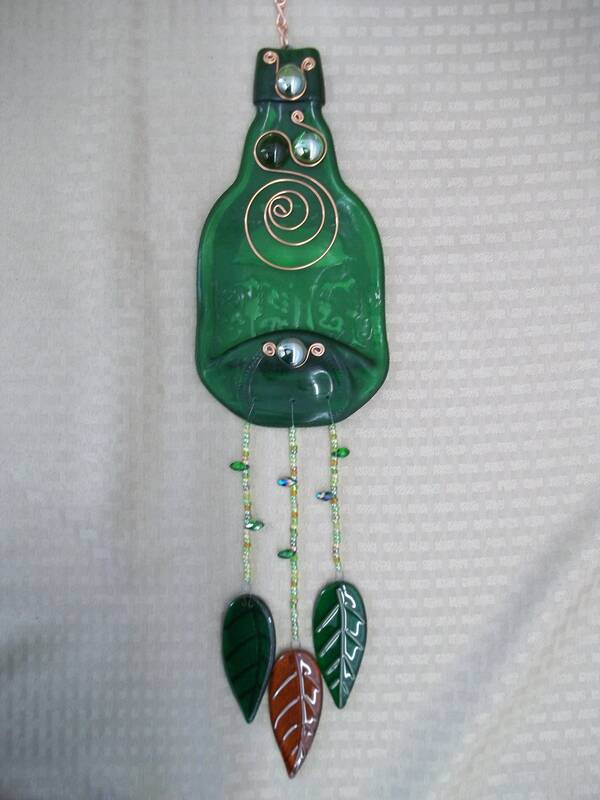 This beautiful handcrafted wind chime will be a unique addition to your garden area! 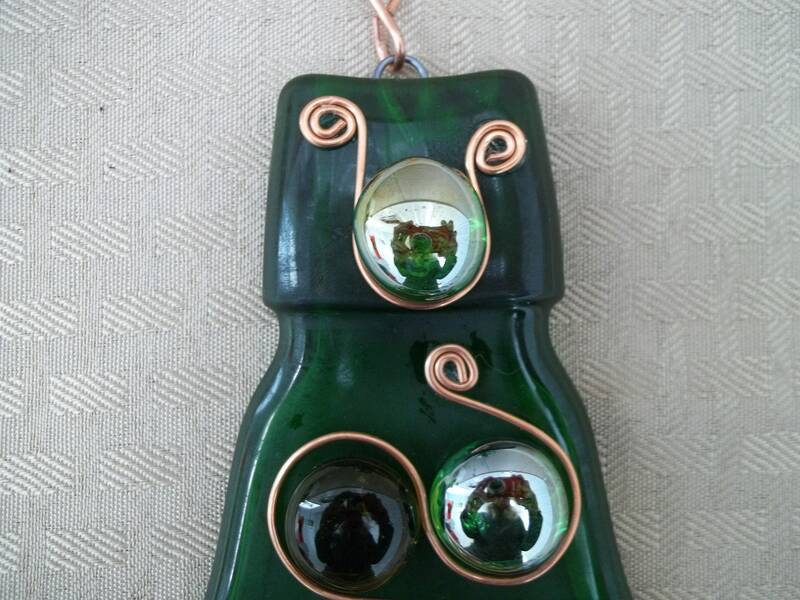 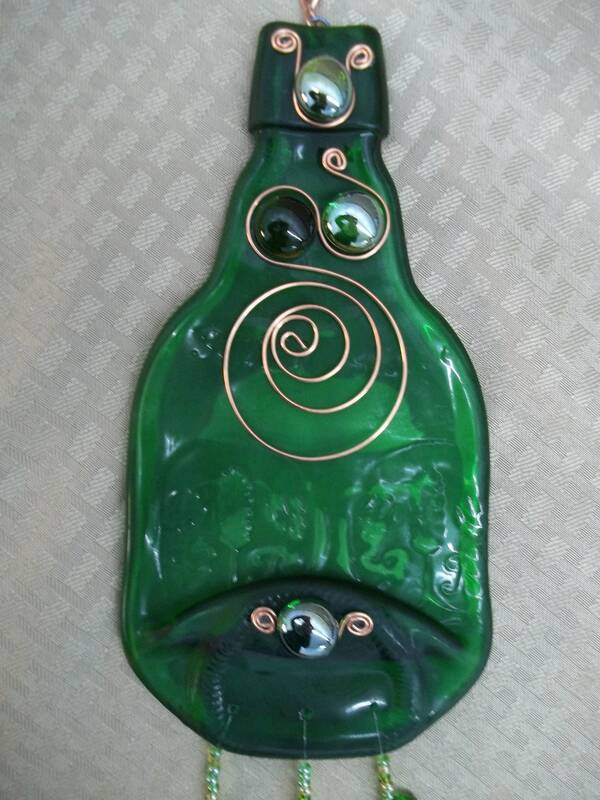 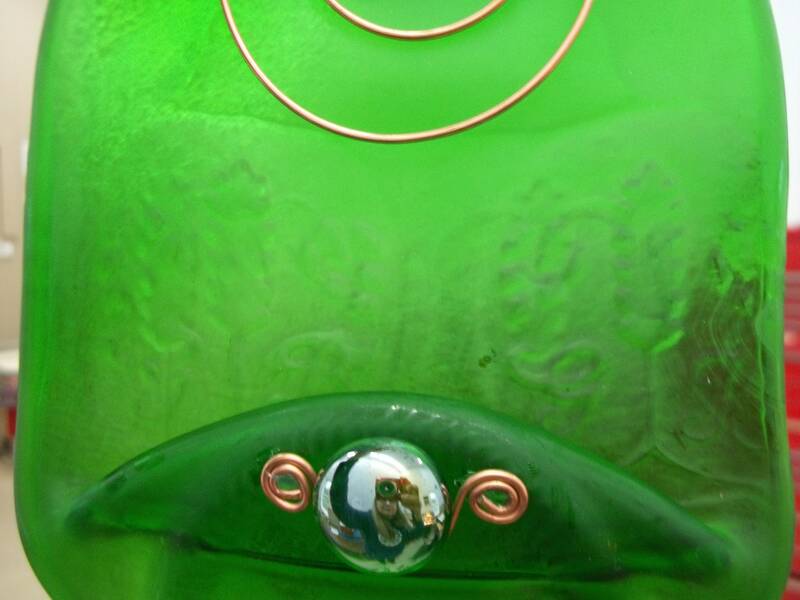 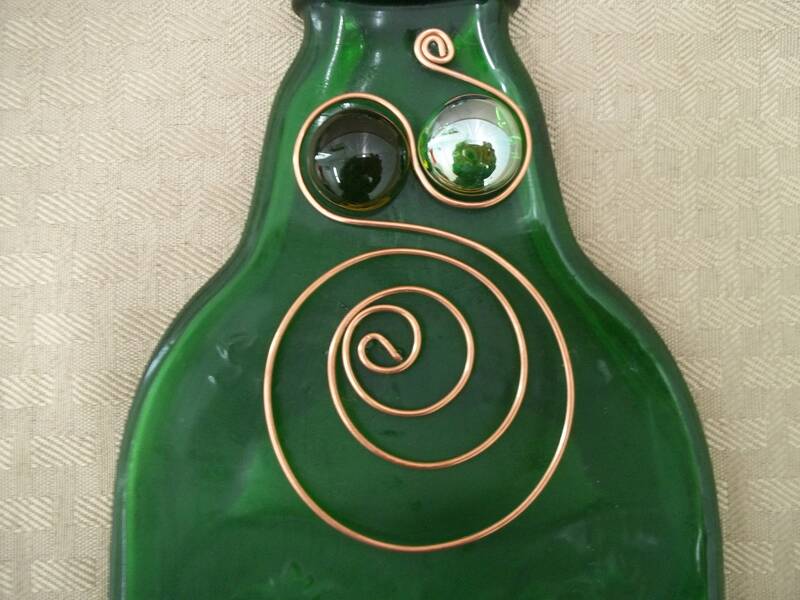 The green bottle was flattened in the kiln and the chimes were hand cut and also fused in the kiln. 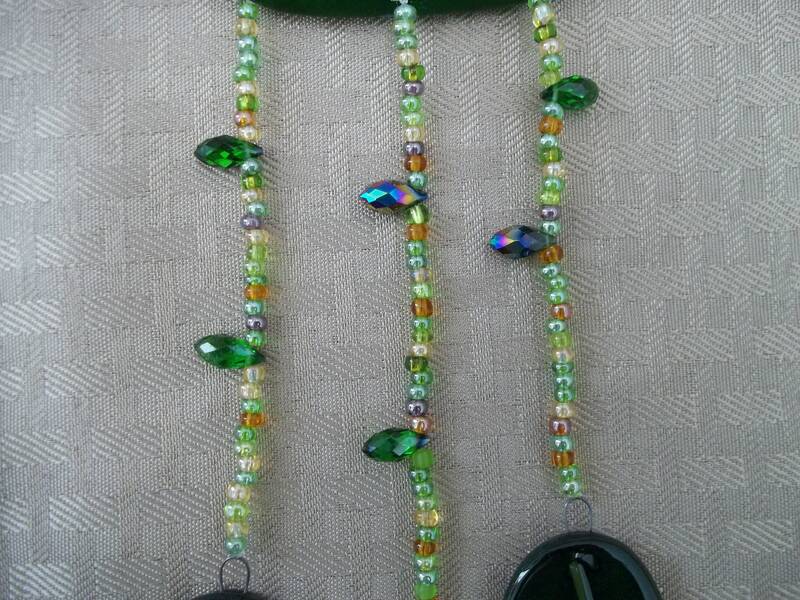 All of the beads are glass, in hues of greens and browns. 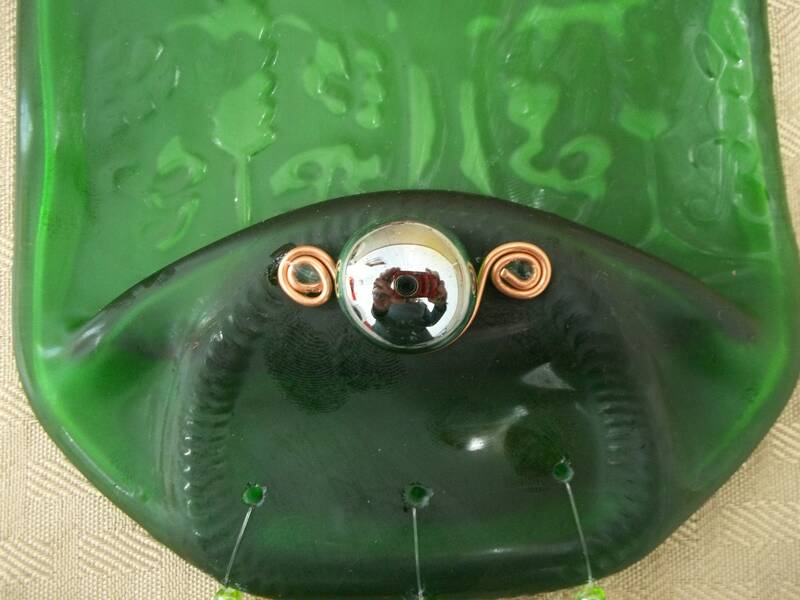 The wire work is done in copper wire and copper chain is used for the hanger. 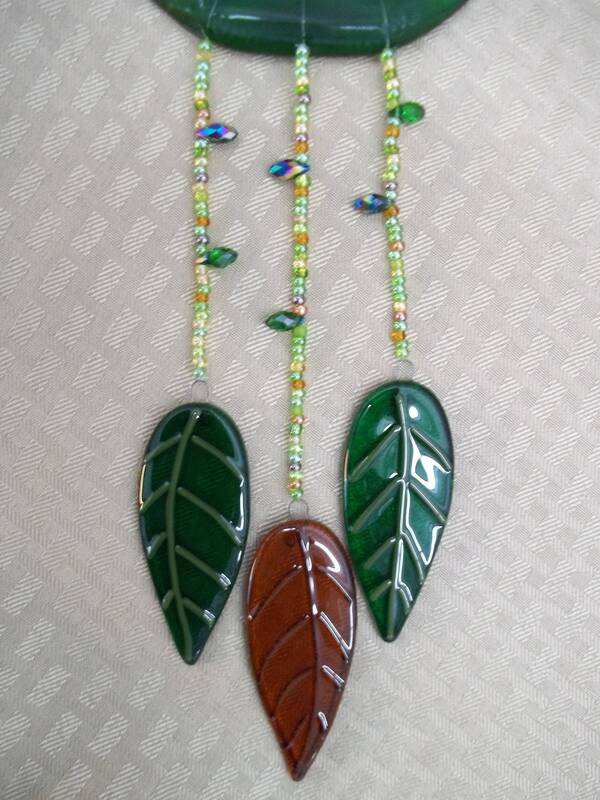 An S hook is included for hanging. 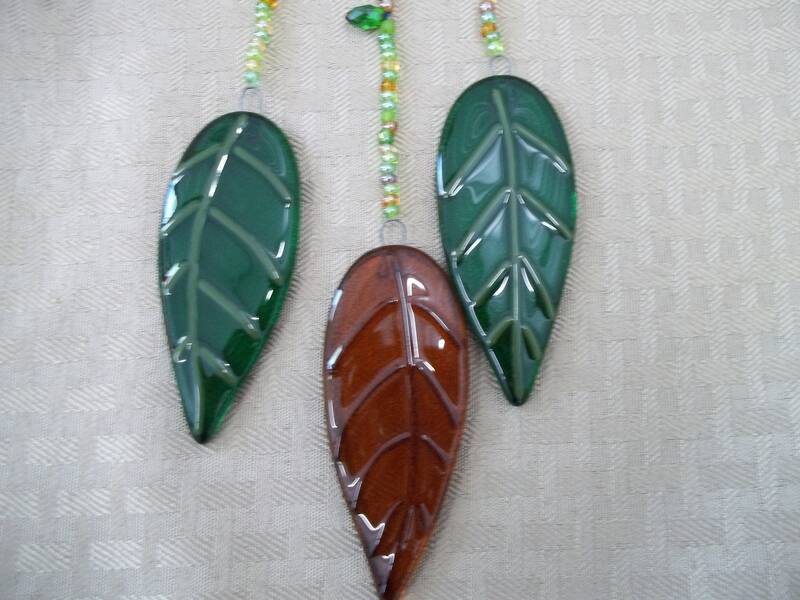 This is an original design from Glass Roots Studio by glass artist, Mary Eason.